I read recently that next to losing weight, getting organized is the most common New Years’ resolution. And, it doesn’t surprise me one bit. Since it is still January, hopefully all those promises to make 2016 the year of “the ultimate organization” haven’t been cast out with last year’s good ideas just yet. Like many of you, I vowed to tackle clutter, create new systems, and fall in love with shelves, bins, and office supplies all over again. I was reading my friend Tana’s (AKA Your Marketing BFF) top blog post of 2015 on the methods she uses to create and manage an electroniccontent calendar for her posts, and I immediately knew that one area screaming for personal improvement was becoming more disciplined in organizing my thoughts and streamlining my ideas. While I immediately adopted her method, I wanted to create a way to “marry” my online content calendar and my reliable, old school, written daily planner. So, I decided that at the start of every week, I would take a look at my electronic calendar, confirm any changes, and then transfer my content for the week to my agenda. 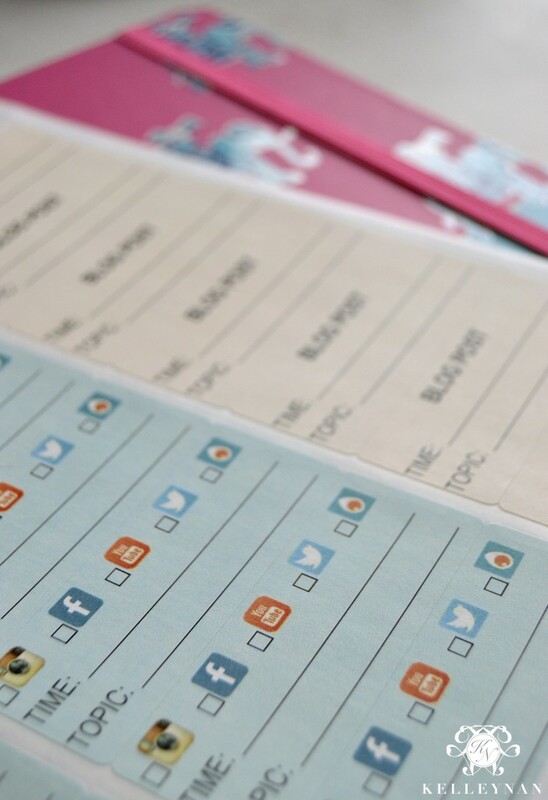 To make things easy, I created agenda labels that can go directly in my planner for both blog and social media content. Hopefully, I am not alone in planning and strategizing social media posts (haha). Between hashtag collaborations, announcements, and new projects, I knew that I would benefit from keeping it in my planner, along with all those other reminders. I think my those of you in Instagram network will be able to appreciate this. The best part? Should you want to implement a more tidy, easy way to “see” your blog/social media schedule, I have provided a complimentary copy! Color coded for at-a-glance, you can download your own printable planner labels below. Just enter your name and email below and upon clicking “send”, the file will appear to download. If you are a bit further behind and are still denying that 2016 is underway, have not yet purchased a planner, or any combination of the two, I have included a few links to a few of my favorites below. I previously had an Emily Ley planner which I really liked; however, I prefer the composition and spine of the Lilly Pulitzer agenda I have now. 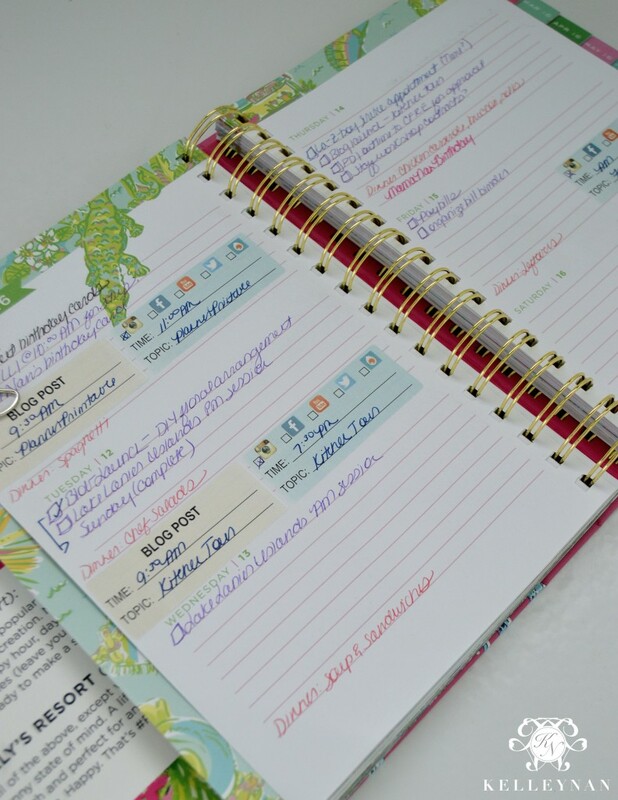 You can find the 2016 Emily Ley planner HERE. 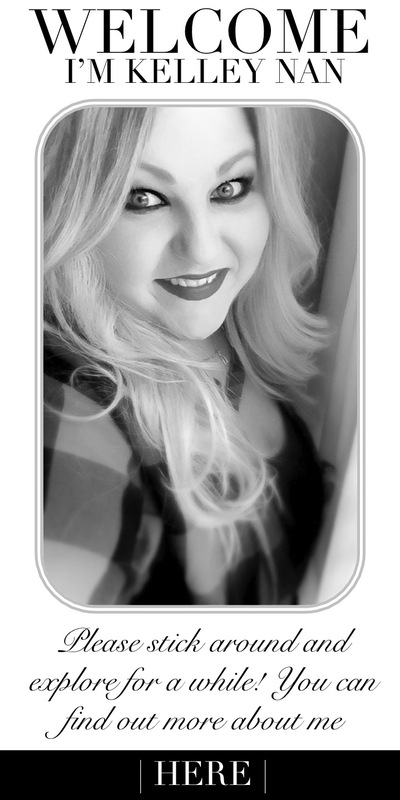 *Please note that by downloading this free template, you agree to receive notifications and updates from KELLEYNAN.com. No custom modifications will be made to this free template. What a great idea! I am always trying to get better at blog organization. These labels are so smart. Thank you for sharing them!!! Lisa, thank you so much! Good luck organizing in 2016!